On display at the 2014 Salon International de la Haute Horlogerie (SIHH) and built in celebration of the brand’s 140th birthday, the Piaget Altiplano 38mm 900P is the thinnest mechanical watch… in the world. And, at an astonishing thickness (or should I say thin-ness) of 3.65 mm the Altiplano 900P beats out the previous champ, the Jaeger-LeCoultre Master Ultra-Thin Jubilee, by a nearly-infinitesimal 0.4 mm. Jenny Craig may very well be a member of the Piaget team, since they have quite the history of creating the world’s thinnest watches of one form or another. Piaget’s quest for the sveltest of timepieces may have reached its most recent acme with the Altiplano 900P, but it began in 1957 with the Piaget Calibre 9P, a movement which measured a mere 2 mm thin. In 1960, the 2.3 mm thick Piaget Calibre 12P earned the crown for thinnest automatic movement. The world’s thinnest hand-wound tourbillon, the Calibre 600P and the über thin 1208P automatic are but a few more notches in Piaget’s very, very thin belt. So, yeah, Piaget likes skinny watches. But, even compared to these past horological achievements, the Piaget Altiplano 900P is special. As a matter of fact, it’s pretty incredible in terms of innovation. Normally, case and movement are two separate entities, playing partner roles in the existence of a watch. Not so with the Altiplano 900P. The 20-jewel movement and the 38 mm case are integrated into one symbiotic union, melding external and internal components for a single purpose. What does that precisely mean? To maximize every possible fraction of a millimeter, the caseback of the Piaget Altiplano 900P plays double duty as the base-plate for the movement. The 900P isn’t the first watch to do this. 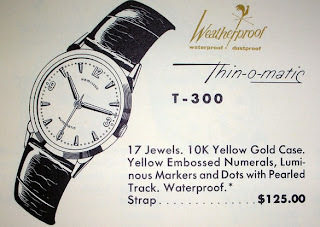 The mostly-plastic Tissot Astrolon used a similar method in the 1970s. However, it’s through the combination caseback and base-plate and the integration of the Altiplano 900P’s dial into the bridges and set slightly off-center, that this Piaget achieves its remarkable thickness. And, this isn’t some two-inch wide watch. The Piaget Altiplano 38mm 900P is a reserved and elegant 38 mm in diameter. Such a nice change of pace from the myriad of gigantic watches out there. Whereas Audemars Piguet tries their very best to use the most modern and high-tech materials, Piaget is a manufacture that honors and respects the use of traditional watchmaking materials. The Piaget Altiplano 900P is made with using those traditional materials, only they pushed to the extreme in terms of design and precision. There is a wheel inside the gear-train of the Altiplano 900P that has a thickness of a scant 0.12 mm, or 120 microns. That’s about the thickness of a human hair. The difficulty in making the Piaget Altiplano 900P only 3.65 mm thick wasn’t in the design of the case or the manufacturing of the super-thin gears (although I’m sure that was pretty tough), it was making the balance wheel and escapement thin enough while still maintaining accuracy AND finding a way to prevent the hands from being compressed by the crystal when the watch is under pressure, like when immersed in water. Although, why the hell anyone would immerse a 900P in water is beyond me. The solution to the first problem was rather straightforward. Get the escapement as thin as functionality will allow and let it be the thickest part of the watch. Every other component of the 145-piece movement will have to fit within that thickness, including the barrel and mainspring. I guess that’s why the power reserve is only 48 hours. Piaget has come up with a revolutionary device (patent pending) representing a major breakthrough in ensuring the reliability of this type of watch. Instead of fitting the hands above the bridges, Piaget has placed them underneath, thereby freeing up space between the cannon-pinion and the crystal. When the latter is deformed by the effects of pressure, it presses not on the hands – placed below the bridge level – but instead on the wheel-train bridge, thus avoiding any consequences on the rate of the movement. The Piaget Altiplano 38 mm 900P comes in three trim variations, an 18kt white gold, 18kt pink gold and a Haute Joaillerie model be-sparkled with 4.71 carats of diamonds, 304 diamonds in all… “baguette for the bezel and brilliant for the lugs and profiles. On the dial, 33 baguette-cut diamonds form the chapter ring.” To make room for all those diamonds, the Piaget Altiplano 38 mm 900P Haute Joaillerie gaied a bit of thickness. But, at 5.65 mm thin, it still boasts the world record for most slender of Haute Joaillerie watches. I have absolutely no idea what the diamond-encrusted Piaget Altiplano 38mm 900P Haute Joaillerie will sell for. Probably a lot. Like, really a lot. But, best guess is the regular old white gold and rose gold Piaget Altiplano 900P should price out around $20,000 to $30,000. For more info, visit Piaget here and peruse the press release below. Neither entirely a movement nor exactly a case – or rather both at once: introducing the Altiplano 38 mm 900P, the world’s thinnest mechanical watch. Merging the hand-wound calibre with the case elements, it is designed as a single entity in order to achieve record-breaking slenderness at just 3.65 mm thin. Representing a crowning achievement in over half a century of virtuoso skills displayed in the realm of ultra-thin watchmaking where Piaget reigns supreme, it conveys the excellence of the two integrated Manufactures run by the Maison. Places where the skills of the watchmakers, case constructors and designers converge in giving life to this masterpiece of reliability and precision. 2014 is a vintage year for Piaget! The Maison is celebrating its 140th anniversary and marks the occasion by launching a model that is set to defy the conventions of ultra-thin Fine Watchmaking for many years to come: the Altiplano 38 mm 900P. While clearly geared towards cutting-edge innovation, it is also a nod to history, since it gets the 900P part of its name from Calibre 9P, which was the first ultra-thin hand-wound movement made by Piaget in 1957. That particular mechanism measured just 2 mm thin and sealed Piaget’s destiny in the field of ultra-thin horology. By 1960, Piaget was ready to set a first record with its Calibre 12P, the world’s thinnest automatic movement at just 2.3 mm. The following years witnessed a spate of new slimness records in the fields of hand-wound and automatic models, with or without horological complications – like Calibre 600P, the world’s thinnest hand-wound shaped tourbillon movement; and 1208P, an automatic movement that is also the thinnest in its category, to mention just a couple of these feats. Constantly reaffirming its unconditional love of slim mechanisms, the Manufacture de Haute Horlogerie Piaget has produced no less than 23 ultra-thin calibres out of the 35 movements developed and produced in-house, of which 12 have set new records for thinness over the past few years and are now part of the collection. Within this impressive body of work, each new accomplishment lays a new milestone in terms of the expertise thus accumulated. It is this know-how that nurtures the Maison in constantly pushing the boundaries of its art and perpetually innovating through a string of exceptional creations. The latter are distinguished not only by their extreme slenderness, but also by their uncompromising reliability – a criterion that governs each and every choice made by the Manufacture. Testifying to the impressive success of this double challenge, all of the 23 ultra-thin movements have been produced continually since the time of their launch, while Calibre 430P has established itself as one of the world’s most widely produced ultra-thin hand-wound movements, due to its extreme resistance. 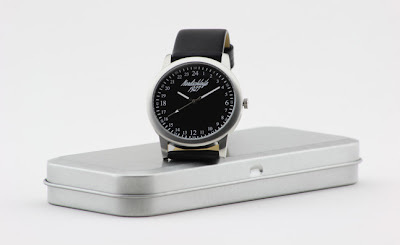 Making an ultra-thin watch is a constant challenge. Right from the first project sketches, all those involved must anticipate the functional, aesthetic and durability constraints involved in paring down parts to the extreme. Very few manufacturers are tempted to adopt such an approach, and even fewer develop and produce in-house both their calibres and their cases under the watchful eye of the in-house designers. Piaget belongs to this exclusive circle. While the Altiplano 38 mm 900P merges the case and movement to establish itself as the thinnest mechanical watch, it also stems from another fusion without which such a feat would have been impossible: that of the two Manufactures Piaget – one based in La Côte aux Fées, where the movements are traditionally made; and the other in Plan-les-Ouates, where the cases are crafted. These skills are now inextricably intermingled, since within the Altiplano 38 mm 900P, the mechanism and the external components form a single indivisible entity. For a full three years, watchmakers, case constructors and designers worked together at each stage of development, production, adjustment and finishing in order to give life to this slender marvel. Each technical choice had an aesthetic impact, and vice versa. While each of the 145 parts composing the Altiplano 38 mm 900P has been trimmed to a size sometimes barely thicker than a hair’s breadth – including some wheels measuring a mere 0.12 mm thin (compared with 0.20 mm on a classic movement) – special care has been devoted to clearances. In other words, the process involved cleverly arranging the components to within the nearest hundredth of a millimetre so as to create optimal play between the fixed and mobile organs, while being careful to ensure that the later move freely and thus guarantee the smooth running of the mechanism. Nonetheless, the true secret of this extreme slenderness lies in the structure of the case itself, of which the back also serves as the mainplate. Thereby merging calibre and case, the latter was machined directly from the case-back in order to house the mechanical parts. This highly complex architecture meant reversing movement construction so as to fit the bridges on the dial side – an approach that also has an aesthetic effect by keeping them visible. To save another precious few millimetres, the entire mechanism and the hand-fitting system are contained within the thickness of the balance-wheel itself, thus entailing an off-centred display of the hours and minutes entirely in tune with the iconic design features of the Altiplano line. These characteristics are further enhanced by the entirely visible wheel-train that invites the owner of the watch to plunge into the very heart of this supremely slender and technically sophisticated mechanism. Working within this extremely confined space, Piaget has devised a suspended barrel hanging from a single bridge on the dial side, contrary to classic barrels that are also fixed to the mainplate side. This highly unusual device is no way detrimental to the performance of the mechanism, since the Altiplano 38 mm 900P has a generous power reserve of around 48 hours. When a watch is subjected to strong pressure, such as when immersed in water, its glass or crystal is slightly deformed. While this physical phenomenon goes relatively unnoticed on a classic timepiece, the same is certainly not true of an ultra-thin watch. Given the extremely confined space available, the glass would be liable to press on the hands when deformed, thus causing the movement to stop. To avoid this challenge to any ultra-thin model, Piaget has come up with a revolutionary device (patent pending) representing a major breakthrough in ensuring the reliability of this type of watch. Instead of fitting the hands above the bridges, Piaget has placed them underneath, thereby freeing up space between the cannon-pinion and the crystal. When the latter is deformed by the effects of pressure, it presses not on the hands – placed below the bridge level – but instead on the wheel-train bridge, thus avoiding any consequences on the rate of the movement. While for Piaget, the extreme slimming down of the parts in an ultra-thin watch must in no way compromise its reliability, the same goes for the level of finishing. The Altiplano 38 mm 900P is no exception to the rule. Even though some of its 145 parts remain hidden from sight, all of them have been meticulously finished in keeping with the noblest horological traditions, through countless hours of patient work rendered even trickier by the extraordinary slenderness of the components. The mainplate carved out of the watch case-back has been satin-brushed and sandblasted, while the wheels are alternately sunburst or circular satin-brushed. Hollowed so as to reveal the subtle mechanical intricacies at the heart of the Altiplano 38 mm 900P, the bevelled and sunburst satin-brushed bridges are black-coated to create elegant contrasts with the white gold case. In its pink gold version, the watch bears anthracite mechanical elements, whereas when it appears in the gem-set white gold variation, the bezel lights up the entire creation with its 78 diamonds. Finally, the index-assembly bearing the Piaget “P” strikes a resounding signature note within this subtly orchestrated Fine Watchmaking symphony. Ever since its first ultra-thin calibres in the early 1960s, Piaget has always interpreted its wealth of finesse through exceptional creations sublimating the two core competencies of its Manufactures: Fine Watchmaking and Haute Joaillerie. 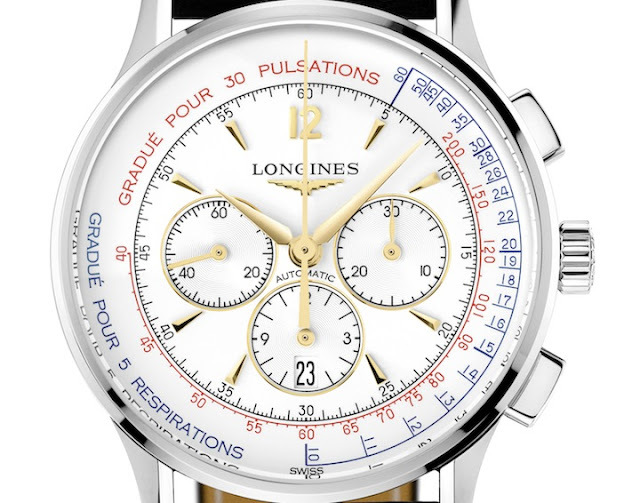 Setting a watch is a demanding art involving a number of constraints. An ultra-thin watch allows only infinitely small tolerances in preserving the volume of its lines and that of its case. The extreme thinness of the material thus leaves very little space for setting the stones. The jewellery version of the Altiplano 38 mm 900P totalling 4.71 carats sets a new record for slenderness, since it is the world’s thinnest Haute Joaillerie watch at just 5.65 mm thick. 304 diamonds set the stage for subtle plays on cuts – baguette for the bezel and brilliant for the lugs and profiles. On the dial, 33 baguette-cut diamonds form the chapter ring. Piaget takes things as far as to even gem-set the screws on the bridges and wheel-trains. Proclaiming its bejewelled nature right the way through to the smallest details, the watch also features delicate gem-setting on the folding clasp of its alligator leather strap, thereby putting the ultimate finishing touch to a model that is destined to remain a highly exclusive work of art.